The fixtures are out, and our first game of the season (in League One!) is only weeks away. That’s right – it’s time to renew your PASALB membership. And if you haven’t been a PASALB member before, what better time to join? PASALB membership entitles fans to free entry to social events; a membership card (with fixture list on the reverse); and a travel guide containing maps and meeting pub information for all away games. Joining PASALB is a great way to meet other exiled Argyle fans – and the more members we have, the better our events will be. Once again, we have frozen our membership prices, which means joining PASALB during the 2017-18 season costs £10 for adults and £5 for senior citizens and fans aged 18 and under. The easiest way to join PASALB is by clicking the PayPal button on the front page of the PASALB website. You’ll find it here. Alternatively, if you do not wish to use PayPal, please email membership@pasalb.london and we will provide details of how you can pay by bank transfer. Once you have paid your subscription, please email your name and address to membership@pasalb.london and we will send you a membership card and travel guide. If you already pay your subscription fees annually via PayPal, you do not need to do anything. 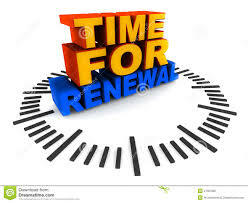 We will receive your fee automatically when it is due for renewal. Once you have renewed, why not ask a friend to join as well? The more the merrier!